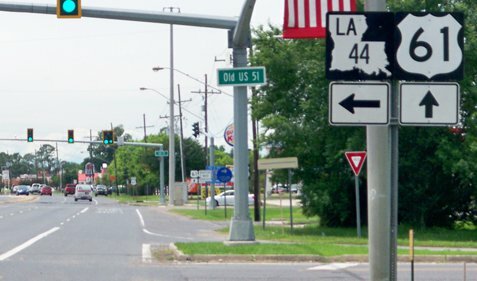 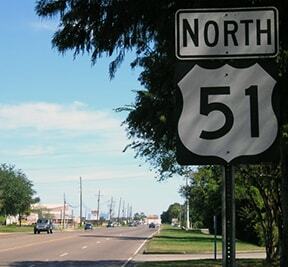 At its south end, US 51 was formerly signed further than it is now: from Laplace LA it was overlapped eastward with US 61 (and US 65) all the way down to New Orleans. 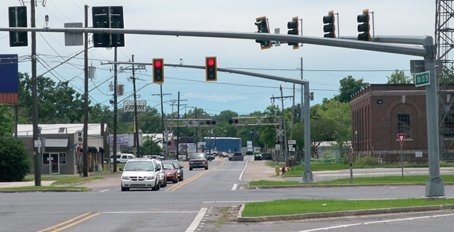 Those three routes ended at the same place where a fourth route (US 11) ended: the intersection of Broad Street and Canal Street (more info on the New Orleans page). 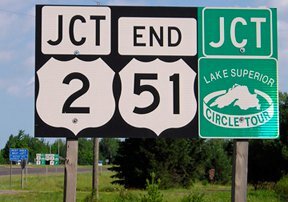 ...but that location is way too late for a junction sign. 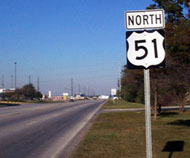 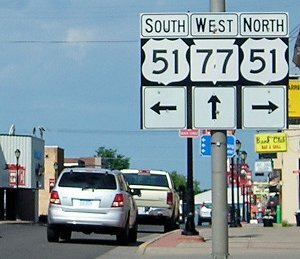 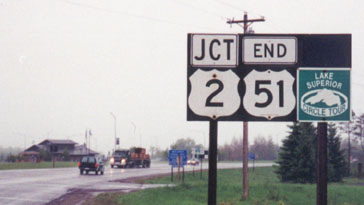 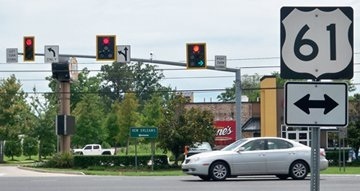 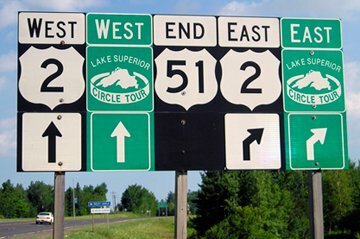 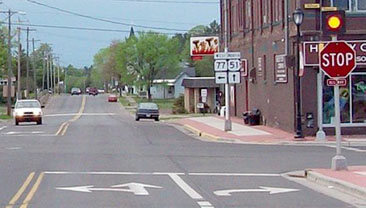 A more appropriate sign in that location would be an "END US 51" assembly. 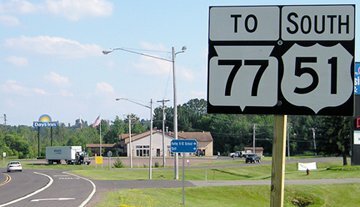 last updated July 22, 2017.